– Improving Shoulder Mobility by myself. In this article, I talk about the Shoulder Mobility screen from the Functional Movement Screen. I list some of the exercises and progressions that have worked well in my coaching situation. – Teaching Circuit Phase 1 by Mike Potenza. This is an article with several videos showing examples of what Mike does with youth players. It is a teaching circuit as technique and coaching cues are critical to help the young player establish a low athletic position with proper posture and technique. – Training Around an Injured Arm by Mike Potenza. These are the types of articles that I really enjoy. 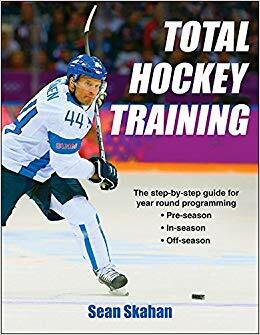 These are real-world programs that are being administered under situations that are different for everyone who is working with hockey players. This is a simple 3-day program that will help a player with an injured arm stay strong and healthy everywhere else in his body. Good stuff from Mike. – Beginner Off-Season Strength Training by Darryl Nelson. This is a good program for a beginner. I really like the simplicity of these program as it features many good “bang for your buck” exercises. I like to follow a similar template to this. Hope you all are enjoying the site. Any questions let us know. Sean, Mike, Anthony, Kevin, and Darryl.